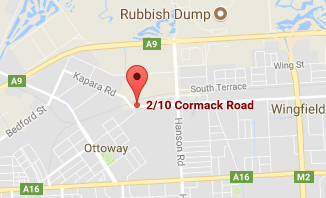 At Car Wreckers Adelaide, truck owners have no worries when it comes to the dismantling of their trucks. We are a premier truck wrecker with expert dismantlers that have the tools and equipment to wreck trucks to their fullest value. Our truck dismantlers love what they do, and love putting the best cash in hands even for the most challenging trucks! Instant cash payments – When we come to remove the Trucks, our customers get instant cash quotes over the phone and online, and get the cash quote directly into their hand. We pay cash for trucks, offering our customers up to $9,999 cash. Instant cash appraisals for trucks of any make and condition are provided over the phone and online. Free truck removals Adelaide SA – When we buy trucks in Adelaide, we provide courtesy truck removals at times that meet the schedules of our customers. With us, we are there to remove your truck when you have the spare time in the day. Free truck wreckers Adelaide SA – We are free truck dismantlers Adelaide, Southern Australia that is fully equipped with the right tools and best knowledge and skills to get the best value from your Truck Dismantle and Wrecking. We make upfront payments up to $9,999 cash so you “get cash for trucks” that will be wrecked at the time we buy the truck. Free Paperwork – There are no concerns once we remove the truck that you haven’t sold your truck to a legitimate buyer. We provide all the necessary paperwork for a legal sale. Why choose Truck Dismantlers Adelaide? 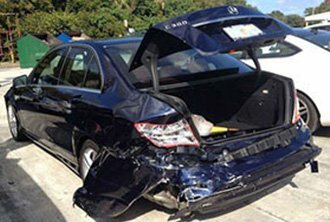 When Car Wreckers Adelaide is your choice in a wrecker, you have a buyer that is an established professional in the industry. We are a reputable company that has been providing truck owners with an optimal way to sell trucks of any make and condition for many years. Our company is one that consists of a team of specialists that are a part of our company because they have skills and talents that we depend on to be the best in the industry. We are a leader among Adelaide removal companies because we provide honest, reliable services that are second to none. When Car Wreckers Adelaide is your choice in a truck buyer, you have a dismantler that is tops at your fingertips! Contact an appraiser at Car Wreckers Adelaide for an instant cash quote. Call us at 0477 413 136, or fill out our get a quote form located at the top right of this page. Schedule a free car removal in Adelaide SA.